"I think it's amazing to have students curate or facilitate something like this, to this degree." 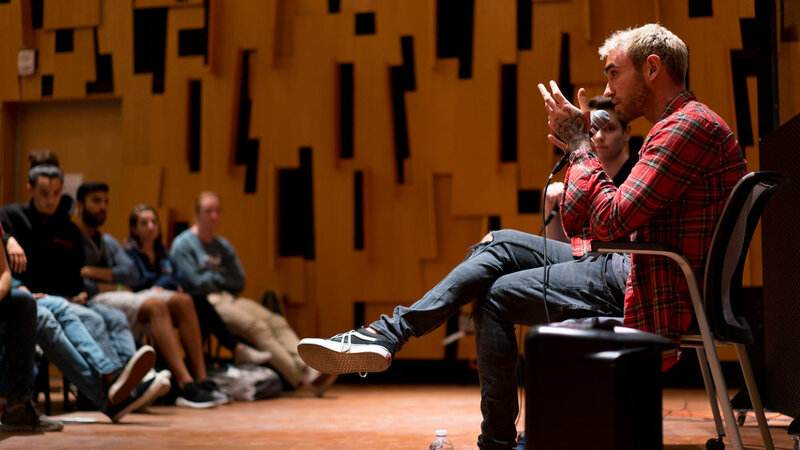 The Office Hours series hosts meaningful conversations with some of today's most successful artists to inspire students to pursue their dreams in the music industry and at large. Instead of attending office hours with a professor, students attend our Office Hours with artists, who share their career insights, talk about their path to success and discuss other important subjects. This free, student-run event is live-streamed from Schoenberg Hall at the UCLA Herb Alpert School of Music. Past guests of the series include: A$AP Rocky, Kaskade, Machine Gun Kelly, and Este Haim. 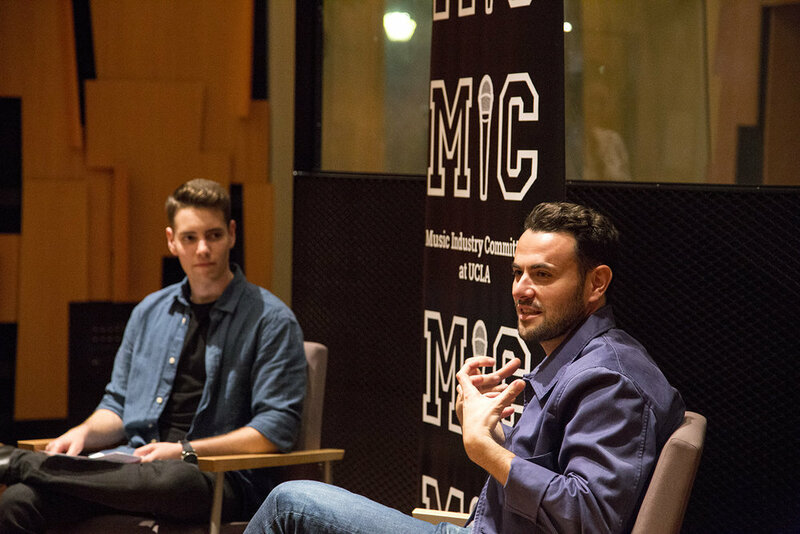 With the Music Power Players series, MIC at UCLA brings the most influential executives in the music industry to talk to students in an intimate setting. These Power Players come from a wide variety of backgrounds and use their experiences to offer advice to aspiring industry professionals. 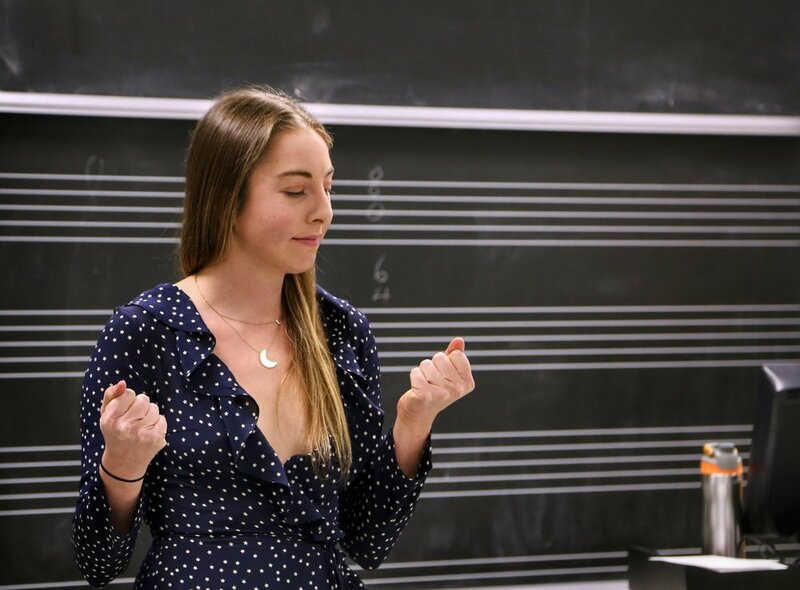 Hosted in the beautiful Recording Studio at the UCLA Herb Alpert School of Music, these events give UCLA students the unique opportunity to get their questions answered by the most powerful and experienced professionals around. Past guests include: Mitch Rose (Co-Head of Music at CAA), Dave Rocco (Head Of Artist Marketing and Label Services at Spotify), and David Marcus (EVP and Head of Music at Ticketmaster).